HCM City (VNA) - Children’s hospitals in Ho Chi Minh City are getting a large number of patients with respiratory ailments and diarrhoea due to an ongoing hot spell in the southern region with temperatures rising up to 37 degrees Celsius. In the last few days, the HCM City Children’s Hospital No 1 has received 6,000-8,000 patients daily, two-thirds of them with the two ailments, according to its general planning department. Tran Anh Tuan, head of its respiratory department, said the number of in-patients with respiratory problems has risen by 30 percent. Hoang Le Phuc, head of the digestion department, said in the last three weeks, the number of patients with digestive disorders has also increased by 10 percent. Some 16-17 have been hospitalised every week compared to 12 in the previous weeks, he said. Children’s Hospital No 2 reported an increase of 1,000 patients daily to 6,000-7,000. Around 190-200 children are treated for respiratory problems compared to 150 normally. The hot weather could lower children’s immunity to common illnesses due to perspiration and lack of water and electrolytes, Tuan said. The sudden change in temperature between air-conditioned rooms and outside also make children vulnerable to illnesses, he said. The number of older patients with respiratory diseases, high blood pressure, and cardiovascular and other chronic diseases has also increased due to the abnormally hot weather. Thong Nhat Hospital in HCM City reported an increase in the number of such patients this month. Those with respiratory diseases and musculoskeletal disorders have risen by 10 percent. People’s Hospital 115 also reported a jump of 10 percent in the number of patients from the average 3,500-4,000 a day. Nguyen Dinh Phu, deputy director of the hospital, said most come with high blood pressure, asthma and cardiovascular and digestive disorders. The University Medical Centre in HCM City receives an average of more than 5,000 patients daily. 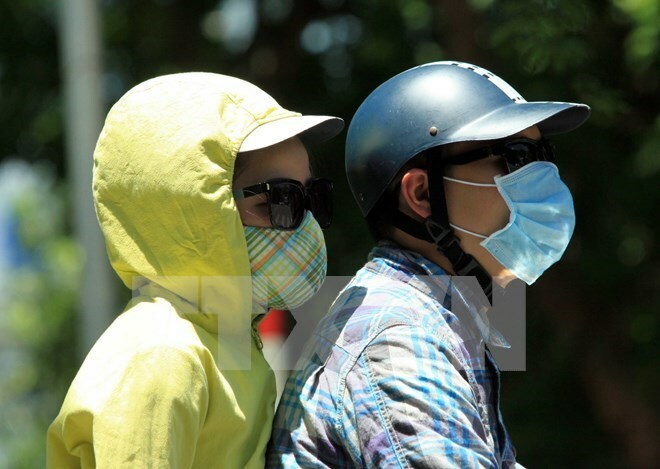 The number of patients rose by 10 percent from before the hot spell and 6 percent from the same period last year, Au Thanh Tung, head of the hospital’s examination department, said.